Omar Ong slipped into Petronas? This news just came in on Rocky Bru's today here and his Malay Mail is publishing the story here. Words leaked today that the controversial and member of the Oxford mafia, Omar Ong will be appointed as Petronas Director. The announcement will be soon. It seemed that the decision was already made in early August. Despite the strong resistance expressed by Independent Directors of Petronas, Prime Minister, Dato Seri Najib Tun Abdul Razak vehemently insisted on the appointment beleived to be at the behest of Omar Ong. Words are his appointment would pave the way for his eventual appointment as President/CEO of Petronas. Hasan Merican is due for retirement. The general concern of those in the know of Omar Ong's background and affiliation is that he is being assigned a position beyond his own capacity and capability. His past tendency to tinker and introduce his yet to be proven successful consultancy templates. Omar Ong is untested and should be tried to run a smaller organisation elsewhere. The succession plan in Petronas should be respected. Why are we ready to gamble Petronas in his hand? Petronas is a major asset of the nation and manges the nation's oil reserve and foreign exploration. It has a wealth of human resources and experiance within its fold. It has its own succssion plan and there should not be any queue jumping from outside the organisation. The problem with the worldview of people like Omar Ong is their tendency to be fascinated with what's fashionable of the day and not ready to defy convention and norms. When Petronas was established by Tengku Tan Sri Razaleigh Hamzah, Malaysia defied the norms set by the Seven Sisters Oil Companies of the world. The country resisted the pressure to follow the rules and terms laid down by the major oil companies and its backing superpower. That brevity and strong sense of patriotism had enabled Malaysia to have "real ownership" of its oil wealth and the money plowed back to develop the nation. Otherwise, Petronas would be in the boondogs like Indonesia's Pertamina today. 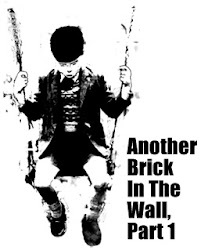 Placing personalities like Omar Ong, with linked and association with Khairy, Tingkat 4 and their network of corporate freeloaders pervading every Government linked Companies in the country, is that they are devoid of any sense of patiotism and over awed with the western corporate thinking without pondering a glimpse of the bigger national agenda. The presence of Omar Ong was attributed to the high dependence of the Government and GLCs with wasteful brand named Corporate Consultant. Lost are the building of creativity and capacity to think and plan put our own solutions to problems and our own thinking in development. The irony is that the presence of graduates from such branded prestigous Universities does not translate into independent thinking but becoming more dependent nore on foreigh brains. Petronas will eventually be run by outside consultants rather by from capacity and capability from within. The most scary part is Omar will have access to confidential and important numbers that is not reported. This blogger see Omar as a security risk just like Khairy and his Tingkat 4. Omar is dangerous because he has his own personal cause and agenda that will not be congruent with the historical social, political and economic fabric of the party and nation. Beyond the sight of the Prime Minister, Omar Ong is not as personable to others to enable him to command the respect and loyalty from his underlings to be an effective leader is such an important organisation. His appointment will have a discouraging effect on the sizable number of Petronas employee who has been loyal to the organisation. 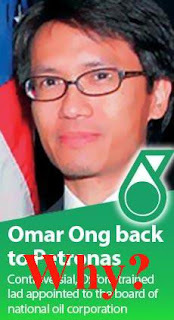 Omar was a Petronas scholar who did not honour his commitment to serve with Petronas and on many occasion have repeatedly rescinded in his agreement with his scholarship provider. All due respect to the prerogative of the Prime Minister to choose and in the spirit of 1Malaysia and his call to listen to the rakyat, this rakyat plead the PM to reconsider. Also this rakyat wish to remind the PM that he had gave a commitment not emulate Pak Lah's practise of having a wunder boy and a West Wing style Tingkat 4. This is one appointment this blogger strongly feel the PM made a mistake and this honest view is expressed without any malice but out of concern for his own Premiership. In fact, the appointment will become a political liability to Najib. This is one burden he does not need. The PM may have confidence in Omar Ong but not those who knows Omar Ong beyond the confine of the PM's office and a natural kow tow to the number 1 of the country. Can 1Malaysia please listen to what the fear and concern of the people? Confidence is oozing within UMNO to defend the Bagan Pinang by-election set to begin on nomination date Novermber 3rd and votes casted on November 11th. Today there will be a Hari Raya celebration to announce the candidate. As it stand, BN is trailing 1-7 in the series of endless by-elections after the March 2008 general election. UMNO has yet to win it's first by-election. This is not normal for BN who is used to gaining grounds into opposition territory at every by-election in the past. Since this morning, words are buzzing that former Menteri Besar, Tan Sri Isa Samad will be the candidate for Bagan Pinang. Spirits is running high since all survey, interviews and head count by many parties only points to Isa's candidacy. Even if it is Isa Samad, it will not be a walkover. Isa will still have to work hard and slog for a victory. The fact that the UMNO Bagan Pinang members widely believed that Isa was fixed in the 2005 money politics charge does not mean it will be plain sailing. Isa received support from all but two UMNO divisions in Negeri Sembilan. Isa will have to deal with the new political environment, a stronger and vigorous opposition, and internal challenges from within. Isa need to be vigilant to talk that a Seremban residing senior state UMNO politician have announced to his dwindling supporters to "mandikan" Isa. The overriding factor that may have put UMNO President Najib with no other choice, but the somewhat tainted Isa, is due to the fact that Isa could attract a significant portion of the almost 30% non Malay voters, dejected former BN voters and UMNO party members who have left the party. Salahuddin Ayub, which is leading PAS charge have set only a modest target to reduce the majority by 50. Naturally, if Isa Samad is nominated, the expectation on Isa is for a larger majority than that of the late Azman's. He needs a large margin win which is not easily obtainable this time around. This does not render Dr Mahathir's view to reject Isa's candidature as irrelevent. His view as an elder party members is justified. There is nothing personal but a concern of a party elder for the long term future of UMNO. Although his view has the support of Tan Sri Muhyiddin, few leaders and a section of the public, the overwhelming support from the win deprived grassroot for Isa is too overwhelming. The posturing and behind the scene manouvring by certain leaders have not gone down well with the grassroot who see it as a clear cut choice. It is a political risk to deny grassroot demand. A loss by candidates other than Isa may place them on the rooster. Only an actual Isa loss will convince them. However, Dr Mahathir's view should not be taken too literal. He should have other considerations than the obvious. The Pak Lah man current Menteri Besar may have overstretch himself to think that he is received into Dr Mahathir's stretch arms. Two Raya visits does not change anything that happened in the last five years, especially his past treatment to Mukhriz. Returning to the optimism by the grassroot, it does not necessarily guarantee an easy win. Isa have to still work hard, if chosen to run. Already UMNO have wasted valuable campaign time. PAS have already done their ceramah series. They have gone house-to-house and person-to-person campaign and covertly enter the army camps. The 5,000 army votes seen as insurance may not be as easy as it is seems. Already it is heard that PAS may field an ex army as candidate to improve on their 1,600 votes received in the last election. This time around Malay votes may be effected by the national level issues. Certainly UMNO Information Chief Ahmad Maslan needs to do more than his usual stunt to stay with rural families and go rubbertapping in early morning. The main concern will be where the non Malay votes go. Isa is an easier and more recognisable candidate than others. If other than Isa, their votes will follow the by-election trend to give to Pakatan, particularly the Chinese voters. The significant 19% Indian voters is more tricky. Hindraf Utahayakumar already called on the Indians to boycott the elections. Issues like cowhead in Shah Alam would definately touch on their sensitivity. But on October 10th, Najib is launching the Makhal Sakti political party. Lastly, the perennial problem of internal sabotaging and complacency within UMNO. Isa is actually denigrating himself to become a common ADUN and be the most Junior and last in the pecking order in the State Assembly. He is most unlikely to return as Negeri Sembilan MB. But Isa's re-entry will certainly make certain leaders nervous, especially with his weakening support from the grassroot. UMNO narrowly missed a win in Manek Urai due to internal sabotaging by the local warlord. In Negeri Sembilan, the recently resigned State UMNO Secretary have recently been reinstated. The hope is for Bagan Pinang to be the wakeup call to reinvogorate UMNO from the lull and complacency. Pemuda movement having been complacent. Bagan Pinang will be a Mecca of political tourist rather than campaigners. A sign of widespreading complacency. In fact, sabotage is itself a sign of complacency and indenial. In-fighting usually occur when UMNO is strong. But UMNO is weak now. Hari Raya sudah bertambah dekat. Orang yang sedar pun terasa hari penamaan calun pun bertambah dekat. Tak lama, seminggu lepas raya. Macam-macam yang sedang dibincangkan mengenai Bagan Pinang. Samada Isa patut dicalunkan atau tidak. Tidak ada salah dan betul, hanya berdasarkan pendekatan yang lebih ditekankan masing-masing. Sedikit demi sedikit, cerita konspirasi mengenakan Tan Sri Isa Samad dengan tuduhan politik wang sudah mula menjadi buah mulut orang. Kita pun sudah sampai ke siri terakhir tulisan Konspirasi Terhadap Isa Samad. Dalam siri terakhir ini, penulis akan dedahkan kejadian belakang tabir yang menikam Isa dari dalam pucuk kepimpinan. Dalam prequel, penulis menyentuh mengenai dilemma yang dihadapi Barisan Nasional untuk memilih Isa. Pilihan untuk Dato Seri Najib untuk pilihanraya kecil Bagan Pinang tinggal hanya antara Isa Samad atau kalah. Penulis menjelaskan tujuan siri ini ditulis sebagai mengingatkan kembali peristiwa ini yang pasti akan diperkata ramai. Pada pandangan penulis, Isa sudah teraniaya terlalu lama dan kini masa yang sesuai untuk mendedahkan kebenaran. Tatkala nama Isa kembali menjadi sebutan ramai, pendedahan ini tepat masanya. Pendedahan ini bermula dengan sandiwara yang dimainkan oleh Lembaga Disiplin. Kenyataan Pak Lah, Dato Radzi Sheikh Ahmad, dan Dato Syed Hamid Albar serta tindak tanduk Lembaga Disiplin yang agak pelik dan menimbulkan syak. Kemudian semalam, penulis menceritakan peristiwa yang berlaku disebalik Pilihanraya 2004 yang telah mengkhayalkan Pak Lah hingga 2008. Maklumlah 90% "(wakil) rakyat" menyokongnya. Semasa itu, Khairy ingin dicalunkan untuk kawasan baru Rembau tapi dihadang oleh Isa. Dendam Khairy terhadap Isa pun bermula. Seorang komentar pula memberitahu dendam Pak Lah terhadap Isa bermula sejak Isa tidak memberi sokongan kepada Team B dan kemudiannya Semangat 46. Tarikh penamaan sudah bertambah rapat. Khairy pun ikut tak sabar. Dia meminta nama calun diberitahu awal-awal. Konon tidak sabar untuk menggerakkan jentera Pemuda. Masa PRK-PRK lain sebelum ini, jentera Pemuda begitu lembab sekali. Hanya boleh diharap pada sayap Wanita dan Puteri. Orang boleh kata ini peluang untuk Khairy membuktikan kebolehan Pemuda. Khairy pun tidak mahu malu kalah di negeri angkatnya, Negeri Sembilan. Kenapa tidak di PRK lain yang susah untuk menang? Ada kata ramai mahu bersungguh-sungguh di Bagan Pinang untuk memperoleh kredit kerana peluang untuk menang ada. Berbalik kepada kenyataan Khairy, apa perlu nak umumkan sekarang awal-awal. Spekulasi dalam UMNO itu perkara biasa. Apa helah disebalik kata-kata? Sudahlah orang mula syak dan rasa pelik mendengar Khairy mempertahankan Dr Mahathir dari dimalukan di Perhimpunan MIC. Keadaan yang sedikit tegang dengan MIC menimbulkan persoalan samada pengundi India sebanyak 19% yang kebanyakan di estet-estet akan berikan undi kepada UMNO di Bagan Pinang. Ada mengatakan ini menguatkan alasan untuk Isa dicalunkan. Anaknya Najib sesuai tetapi keadaan sudah berubah. Calun Wanita tidak sesuai untuk pilihanraya kecil. Puak-puak Khairy pun sudah mula mengatakan dia selalu bertemu Isa sebelum dan selepas Isa digantung di Telok Kemang. Mereka mengingatkan Salim yang menjadi Setiausaha Politik Isa di Kementeriaan Wilayah Persekutuan direkomen oleh Khairy. Tanpa menuduh apa-apa terhadap Salim, Anwar Ibrahim dulu rekomen Dato Kamaruddin Jaafar menjadi Setiausaha Politik kepada arwah Tun Ghaffar Baba. Itu bukan alasan untuk membersihkan Khairy. Pada malam Mac 21hb, 2004, kumpulan "inner circle" Pak Lah begitu kecewa dengan kejutan keputusan Naib Presiden. Bukan kerana Dato Seri Ali Rustam dan Tan Sri Muhyiddin Yassin tidak menang. Tetapi kerana Isa menang teratas. Padahal Pak Lah berbuih-buih dan terbatuk-batuk bercakap panjang mengenai pertanian dalam ucapan utama Presiden untuk menaikkan Muhyiddin. Kumpulan "inner circle" Pak Lah yang dimaksudkan adalah Pak Lah, Khairy, Azalina, Nori, Reezal Merican dan budak-budak Tingkat 4 seperti Zaki Zahid, Kamal Khalid dan lain-lain. Mereka mengharapkan Muhyiddin yang menang. Ramai mengatakan kalau Tun Dr Mahathir tidak syaratkan Pak Lah pilih Najib sebagai Timbalan, Muhyiddin adalah pilihannya. Seorang lagi nama pilihan mereka untuk pelbagai peranan utama adalah Syed Hamid. Malam itu bukan malam Muhyiddin. Sebelum peti undi terakhir dari Wilayah Persekutuan, kedudukannya adalah di nombor empat. Nasi beriani yang dihidang dirumahnya untuk penyokong-penyokong bagai tidak terjamah. Nasib baik Wilayah berikan Muhyiddin dan dapat dia mengalahkan Tan Sri Muhammad Muhammad Taib untuk nombor tiga. Sesampainya di rumah di Damansara, dia disambut oleh penyokong-penyokong. Kekecewaan dapat dilihat pada wajah mukanya. Dia cuba dilihat cool dan mengukit senyuman tetapi susah untuk ditutup. Dia menyampaikan sepatah dua kata menyatakan kesyukuran masih dapat menang dalam pertandingan yang agak 'mencabar'. Masa untuk kita bersatu kembali dan bekerja membantu Pak Lah dan Najib. Lepas majlis, Muhyiddin duduk bersembang dengan orang-orang kuatnya. Ada yang mencadangkan bahawa sesuatu perlu dilakukan mengenai politik wang yang dikatakan berleluas dalam pemilihan ini. Jawapan Muhyiddin sebagai Pengerusi Jawatankuasa Disiplin hanya perlu ada laporan baru boleh seseorang itu disiasat dan akhirnya didakwa oleh Lembaga Disiplin UMNO. Ditempat lain pada malam itu, orang-orang "inner circle" Pak Lah merancang untuk menjatuhkan Isa. Mereka sudah menganggap Isa sebagai "orang Najib" walhal pemimpin akarumbi seperti Isa bukan mudah untuk dikategorikan sebagai orang ini atau orang itu. Kalau ikutkan orang yang rekomen Isa pertama kali bertanding dan kemudian menjadi Menteri Besar adalah Tengku Razaleigh. Masa pertembungan team A dan Team B yang kemudiannya menjadi pertembungan UMNO lawan Semangat 46, Isa memihak kepada Dr Mahathir dan UMNO. Pendik ceritanya, pemimpin akarumbi seperti Isa bukan sebenarnya orang sesiapa tetapi orang akarumbi yang setia kepada parti dan kepimpinan yang ada. Orang-orang "inner circle" ini begitu kuat hingga Pak Lah boleh diatur dan disuruh tahan orang ini dan itu untuk bertanding dan naik orang yang tidak mahu bertanding naik. Macam buah catur mereka main suka hati letak-letak pemimpin. Suka hati bapak mereka suruh Pak Lah atur Noraini yang tidak ada rancangan bertanding diletak sebagai Ketua Puteri. Suraya ADUN Sg Tiang yang mahu bertanding Ketua diatur sebagai Bendahari Puteri. Satu lagi ia-lah meletakkan Khairy sebagai Naib Ketua Pemuda "terlantik" tanpa bertanding. Lain dari apa yang dikatakanb Pak Lah, sebenarnya Hishamuddin diarahkan meletakkan Khairy situ. Orang-orang "inner circle" Pak Lah pula sudah ada rancangan untuk menumbangkan Najib. Rancangannya adalah untuk digantikan dengan Muhyiddin. Kini sudah susah untuk dilakukan dengan Muhyiddin berada nombor corot. Perbincangan malam itu membuat keputusan bahawa Isa perlu dikorbankan. Alasan paling baik adalah politik wang. Esok hari pada Mac 22hb, Pak Lah ditanya mengenai politik wang dan dia memberi isyarat rancangan menjatuhkan Isa sudah bermula. Katanya, "Yang salah, salah la... kemenangan tidak menghalalkan yang salah. Mandat telah diberikan tetapi saya juga mesti pastikan kita tidak ambil tindakan berasaskan tuduhan, ia tidak adil. Tetapi jika ada laporan mengenainya (politik wang) dan ia bertentangan dengan peraturan kita, maka tindakan akan diambil walaupun pemilihan telah berakhir." Isyaratnya adalah cari orang untuk lapor dan mula cari saksi. Bagi pemerhati politik biasa, ini hanya kenyataan biasa. Pada hari itu juga, Nori anak Pak Lah yang dalam exco Puteri UMNO memberitahu Azlina Othman Said bahawa ISa akan dikenakan. Pada hari juga, maklumat sampai kepada pasukan Isa mengenai rancangan ini. Itu yang Isa sebut dalam ucapan penggulungan saya sudah menang maka janganlah persoalkan lagi. Kalau ikutkan, kata Isa, yang sudah berjanji nak beri undi ada 2,000. Maka dia menyebut mereka yang dah janji tapi tak kasi, "kita jumpa di padang Mahsyar." Kenyataan Isa ini hanya menimbulkan kekeliruan saja. Ada memahami kata-kata Isa sebagai siapa yang sudah terima duit tapi tidak memberi undi, saya tuntut di Padang Mahsyar. Khabar angin mengenai Isa terus menjadi kencang hingga Isa terpaksa membuat kenyataan empat hari selepas pemilihan supaya hentikan khabar angin mengenainya. Pihak "inner circle" yang berkonspirasi menghadapi masaalah. Tiada orang yang sedia membuat laporan. Budaya UMNO pada tahun 2004 adalah orang-orang UMNO tidak akan melaporkan salah laku orang UMNO lain. Itu yang selain dari Isa, tidak ada orang lain termasuk Ali Rustam yang dilaporkan. Menurut cakap-cakap kedai kopi, hanya Dato Shahrir Samad saja antara calun-calun Naib Presiden yang mereka yakin tidak amalkan politik wang. Itu cakap-cakap kedai kopi yang tidak diketahui asal usul cerita. Tapi untuk menghukum seseorang, mestilah ada bukti. Cari punya cari akhirnya mereka dapat jumpa seorang dari Sabah bernama Badel Khan yang sanggup buat laporan terhadap Isa. Menurut sumber maklumat, dia dibayar untuk memreka laporan. Masuk saja laporan, maka bermulalah usaha untuk menyiasat program Isa dan cari saksi-saksi yang sedia 'bekerjasama'. Proses ini hinggalah Isa dihadapkan ke Lembaga Disiplin pada Jun 25hb, 2005 memakan masa 10 bulan. Sebanyak 40 orang saksi yang sedia 'bekerjasama' berjaya dikumpul. Sambil itu, seorang Tan Sri dalam Lembaga Disiplin pun memainkan peranan untuk mengatur dan menggunakan kebolehannya sebagai peguam mempengaruhi keputusan dari dalam. Tanpa menyebut namanya, Tan Sri ini adalah bekas wakil rakyat dan seorang peguam. Semasa zaman aktif dalam politik, dia ada persaingan politik dengan Isa satu masa dahulu. Menurut seorang bekas Menteri Kanan zaman Dr Mahathir, Tan Sri ini makan dua belah. Sebelah Pak Lah pun dia ikut dan sebelah majlis Dr Mahathir pun dia turut tunjuk muka mengintip. Ada orang gambarkannya sebagai muka bercabang. Dia ingat orang tidak tahu. Akhirnya setelah 10 bulan, baru mereka cukup 'cerita' untuk mengenakan Isa. Ramai yang mempersoalkan mengenai masa yang terlalu lama ini bakal menimbulkan syak wasangka. Selain Setiausaha Agung, Dato Radzi Sheikh Ahmad dan (sekarang) Tan Sri Syed Hamid Albar, Dato Adnan Yaacob turut bersuara. Tapi Pak Lah berhelah keadilan perlu teliti dan tidak boleh bergopoh-gopoh. Dari sembilan pertuduhan, itu pun Isa hanya salah untuk lima pertuduhan. Sepuluh bulan merancang macam mana ada yang tidak kena? Dari lima itu, salah satu mengaitkan kenduri di rumah Dato Shahirudin Abdul Moin, Ketua Bahagian Raub. Kenduri itu hanya kenduri biasa dan tidak ada ucapan atau apa-apa politik. Paling politik dalam Majlis itu hanyalah orang ramai bersalaman dan bertemu Isa. Beberapa orang saksi dapat dipujuk untuk mengenakan Isa bagi Majlis ini. Salah seorang saksi adalah orang Dato Mohamd Hasan bernama Zubir Jamal. Mat Hasan adalah orang Pak Lah untuk Negeri Sembilan. Shahirudin turut dihukum Lembaga Disiplin tetapi Tok Nan faham apa yang berlaku dan kekalkan Shahirudin sebagai exco negeri. Isa yang tidak nasib baik kerana Pak lah memang merancang untuk gugurkan Isa. Antara lima kes-kes tersebut, ada yang mana Isa tidak berada langsung ditempat yang dikatakan. Rata-rata semua kes-kes melibatkan kenyataan yang konon Isa berada di sini situ atau buat ini itu. Semua saksi-saksi berdasarkan kenyataan bertulis. Isa yang sudah lama tahu perancangan itu faham. Dia tidak mahu memanjangkan cerita. Bukan tidak boleh untuk diheret saksi-saksi untuk cross examine, tapi dia tahu ini boleh meyusahkan dia kembali akhirnya. Ada pihak cuba bertemu Najib untuk memberitahu tentang apa yang sudah berlaku dan disampaikan kepada mereka selepas Isa diberi surat untuk menghadap. Najib terkejut dan kata dia tidak terdaya untuk melawan orang-orang "inner circle" ini. Dia pun sedar bahawa kedudukannya pun tidak selamat. Ketika itu Pak Lah sedang mengganas menguakkan sayap kuasanya. Isa tahu bahawa lagi dilawan, lagi susah untuknya nanti. Isa hanya mengharap satu hari orang akan tahu cerita sebenar. Semasa mengadap Lembaga Disiplin, Isa hanya membaca kenyataan bertulis untuk menafikan semua pertuduhan. Dalam masa 24 jam, dia digantung hak keahlian selama enam tahun dan dilucutkan jawatan Menteri yang dijanjikan dahulu, satu hukuman yang paling keras ke atas pemimpin tinggi UMNO. Begitu cepatnya keputusan dibuat pun menimbulkan syak orang ramai. Adakah Bagan Pinang akan menjadi tempat untuk Isa mendapat pengadilan dan membersihkan namanya? Kita tinggu dan lihat kerana ada pihak tak mahu berikan peluang itu kepada Isa. Satu wayang sedang dimainkan. Wanita begitu beriya-iya mahukan kerusi itu. Kenyataan Khairy minta dicepatkan pilihan berbau sesuatu. Baunya busuk sekali. 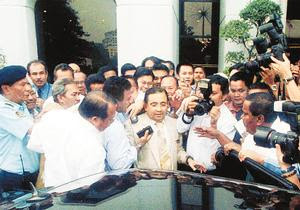 Dato Seri Abdullah Ahmad Badawi menggantikan Tun Dr Mahathir pada 31 Oktober 2003. Sebagaimana yang telah lama dirancang, Pak Lah mahukan mandat baru dari rakyat dan memanggil Pilihanraya Umum pada Mac 21hb, 2004. BN menang besar dengan menyapu 198 dari 220 kerusi di Parlimen, hampir 90% kerusi. Satu mandat yang besar. Pada penganalisa politik, ianya hanya merupakan fenomena penyapu baru. Rakyat dapat disentuh dengan imej Pak Lah yang dipaparkan sebagai bersih, warak dan peramah. Walaupun ramai tahu keupayaan Pak Lah amat terbatas berbanding dengan ramai pemimpin-pemimpin UMNO yang ada, slogan Cemerlang Gemilang dan Terbilang memberi satu aura semangat dan harapan baru. Semasa Pak Lah masih Timbalan Perdana Menteri, dia telah mengambil Khairy untuk bekerja sebagai Pembantu Setiausaha Peribadi (Assistant Principal Private Secretary) di pejabtnya bawah Dato Thajuddin. Khairy seorang anak muda yang terlalu gopoh dan bercita-cita terlalu tinggi. Tanpa malu dan segan, sana sini dikatakan dia akan menjadi Perdana Menteri sebelum umurnya mencecah 40. Dia mempunyai rancangan dan rancang ini memerlukan tapak di Negeri Sembilan. Dalam masa bekerja, Khairy telah memenangi hati anak bossnya, Nori dan berkahwin dengannnya. Terpaksalah dia berundur disebabkan satu general order melarang menantu bekerja satu pejabat. Pak Lah temberang kononnya dia tak mahu percanggahan kepentingan (conflict of interest). Masa yang singkat itu telah dapat digunakan oleh anak muda yang tidak sabar ini untuk meletakkan kaki dalam politik UMNO. Khairy telah berjaya mendapat perhatian Ketua Pemuda UMNO, Dato Hishamuddin Hussein Onn untuk melantiknya sebagai exco terlantik Pemuda UMNO. Sementara itu di Negeri Sembilan, kawasan Parlimen baru Rembau telah muncul dari persempadanan kawasan Parlimen Paroi. Khairy telah dilantik Pak Lah sebagai Ketua Pemuda Penaja untuk Rembau. Datang PRU 2004, Pak Lah telah memberikan Khairy peranan yang besar. Dia dikatakan terlibat dalam menjaga senarai bakal calun-calun. Ramailah yang tahu menaliponnya untuk dijadikan calun. Di sini nama Khairy mula naikdan mula dilihat sebagai mempunyai pengaruh. Khairy yang terlalu tinggi keyakinan dirinya pun rasa dirinya layak dan berhasrat untuk bertanding untuk kawasan baru Rembau. Tetapi Isa yang semasa itu masih Menteri Besar dan merangkap Ketua Perhubungan UMNO menjadi mengadang cita-citanya itu. Keputusan Isa itu berasas kerana perlulah ikut susunan seniority. Khairy terletak pada nombor 3 atau 4. Malah, Ketua Puteri Penaja Rembau, Bibi Sharliza masih lebih senior daripadanya. Dia memegang beberapa jawatan yang dipilih dan dilantik di peringkat Bahagian, Negeri dan Pusat. Jawatan-jawatan Khairy semua terlantik. Yang paling layak sepatutnya seorang bernama Dr Awalluddin* tetapi akhirnya Dato Firdaus Harun* yang dipilih. Firdaus* menang dengan majoriti yang cukup banyak. Bibi bertandung ADUN Paroi dan menang. Khairy menyimpan dendam terhadap Isa. Khairy tidak punya seni dan sering bertindak tidak matang untuk terlalu ketara membalas dendam. Dia mahu segera "hentam kembali" dan tindak tanduknya mudah disedari. Memikirkan susah untuknya memulakan kerjaya dalam politik, Isa perlu dikeluarkan dari tampuk kepimpinan Negeri Sembilan. Khairy pun mengatur strategi dan mempengaruhi Pak Lah pindahkan Isa ke kawasan Parlimen Linggi dan janjikan akan dinaikan pangkat kononnya menjadi Menteri Persekutuan. Semasa berjumpa dan diberitahu oleh Pak Lah, Isa nayatakan dia sedia berhenti dan meminta berikan satu lagi penggal saja sebagai MB. Tapi Pak Lah bertgas mahukan Isa di Federal. Isa tidak membantah dan oleh kerana Pak Lah tidak meminta cadangan darinya, dia bertanya siapa bakal pengganti. Rupanya Pak Lah sudah ada calun ia-itu MB sekarang, Dato Mohamad Hasan. Mat Hasan adalah bekas Pengarah Urusan Cycle & Carriage and pegawai Bank Bumiputera. Dikalangan pegawai-pegawai Bank Bumiputera, Mat Hasan tidak dilihat sebagai Banker yang hebat sangat tetapi ramai tahu dia ada rangkaian politik dan terlibat dalam politik UMNO. Selepas Bank Bumiputera, dia dibawa oleh arwah Tan Sri Basir Ismail ke Cycle & Carriage, pemegang Master Franchise Mercedes Benz. Dalam cermahnya di kampung-kampung, Mat Hasan suka menyebut dia sudah “sonang cukup makan untuk beberapa kotorunan.” Tujuan dikata demikian untuk memberitahu dia bersih dari rasuah. Kalau demikian, ini bererti dia meraih kekayaan semasa dengan Tan Sri Basir di Cycle & Carriage. Bolehkah kaya raya sampai beberapa keturunan dengan makan gaji saja? Orang lama macam Isa ini setia kepada parti dan hierarki. Dia menurut saja kehendak Presiden parti tetapi dia ada memberi pandangan. Menurutnya, Mat Hasan memang lama dan ada memegang jawatan dalam parti di Bahagian. Kekurangnya adalah dia tidak pernah menjadi wakil rakyat, baik Parlimen atau pun DUN. Pak Lah diam saja. Antara alasan yang digunakan untuk memindahkan Isa adalah kononnya masaalah hubungan dengan Yam Tuan Negeri Sembilan, Almarhum Tuanku Jaafar. Kisah ini tertulis dalam bab The King’s Revenge dalam buku Khairy Chronicle yang terbit di Malaysia Today pada sekitar tahun 2004-2005. Dipercayai penulis sebenar adalah seorang anak Negeri Sembilan yang pernah rapat dengan Khairy. Dengan Isa tiada lagi menguasai Negeri Sembilan, perjalanan politik Khairy di kampung asal ayahnya bertambah mudah untuk dijadikan tapak meloncat. Mat Hasan orang korporat dan mempunyai PR yang baik. Maklumlah dalam dunia perniagaan, kejayaan perniagaan bukan sahaja memerlukan produk yang baik dan kebolehan teknikal tetapi kepakaran halus dalam berkomunikasi dan membina jaringan. Tapi ikut cakap orang kampung, PR itu mengampu. Mat Hasan dilihat kuat bodek dan pasti akan cuba memenuhi kehendak ketua melebihi kehendak ahli dan orang ramai. Khairy sebagai menantu Pak Lah pasti akan ditatang macam minyak yang penuh. PRU 2004 pun berjalan lancar dan Isa pun menang kerusi Parlimen. Mat Hasan diletak sebagai Menteri Besar baru. Dalam dia bangga hasil usahanya sedikit sebanyak menjadi, Khairy mengigit jari melihat mudahnya BN menang sana sini. Kalau tidak pasal Isa, dia sudah jadi wakil rakyat Rembau. Datang masa pengumuman kabinet baru, tiba-tiba nama Isa terkeluar. Rupanya Pak Lah masih belum menentukan siapa nak diletak untuk Menteri Wilayah Persekutuan. Kenapa jadi begitu? Pengumuman Isa hanya dibuat masa yang lain. Ini sudah petanda yang buruk. Pada Sabtu Jun 25hb, 2005, Isa didapati bersalah oleh Jawatankuasa Disiplin UMNO di atas kesalahan melanggar etika parti. Pendik kata, kesalahan yang dilakukan adalah politik wang atau istilah yang dicadangkan Ungku Aziz adalah rasuah politik. Berita utama yang diguna Mingguan Malaysia esok hari, Jun 26hb, 2005 cukup pelik. Mingguan memberi tajuk penafian Pak Lah kepada sebarang konspirasi. Dalam banyak-banyak respons Pak Lah, kenapa Mingguan memberi penekanan itu? Semasa itu, akhbar dikongkong oleh Tingkat 4. Mereka bukan setakat menegur apa yang telah diterbit tetapi menentukan apa yang patut dilaporkan, tajuk berita dan gambar sekali. Satu kisah yang menjadi lagenda dikalangan wartawan semasa itu adalah peristiwa Khairy menalipon The Star memarahi Ketua Editor sebab salah eja nama ayahnya. Penulis sendiri timbul syak semasa itu. Kenapa Utusan Malaysia perlu tekankan panafian konspirasi sebagai respons pertama Pak Lah kepada keputusan Jawatankuasa Disiplin untuk mengantung hak keahlian Isa Samad? Sepatutnya ia memberi komen mengenai keputusan Jawatankuasa Disiplin itu sendiri. Bila dikaji kembali, banyak berlaku perkara dan kenyataan yang pelik-pelik sepanjang proses . Sebelum diceritakan mengenai perkara dan kenyataan pelik yang berlaku, pada pandangan ramai kemenangan Isa pun pelik. Maklumlah seorang yang tiga kali gagal untuk jawatan-jawatan tinggi dalam UMNO, termasuk nombor lapan dari sembilan semasa mencuba jawatan Naib Presiden pada tahun 2000, boleh menang dengan undi tertinggi. Pada malam September 23hb, 2004 itu, Isa menang dengan 1,507 undi, muka baru Dato Ali Rustam dapat 1,329 dan favourite Tan Sri Muhyiddin Yassin 'terselamat' dengan 1,234 undi. Bagi orang dalam dan pemerhati politik, ia bukan satu yang menakjubkan. Semasa nama-nama calun disebut pada pagi hari pemilihan, tepukan para perwakilan paling gamat ketika nama Isa disebut. Menurut seorang rakan yang berada di dewan, perwakilan bangun memberikan Isa standing ovation. Bila dilihat kembali, kemenangan Isa dan Ali merupakan petunjuk awal UMNO mahu kembali kepada suara akarumbi dan rakyat. Seolah-olah satu ledakan sedang bermula mahu kembalikan kuasa parti kepada kuasa rakyat. Isa merupakan pemimpin akarumbi yang sejati dan berkecimpung 33 tahun baru capai jawatan Naib Presiden. Cara Isa cara orang biasa dan mudah diterima rakyat dan akarumbi. Dia bertanding ADUN semasa Khairy pun belum wujud di dunia. Semasa itu dia guru, warden dan jurulatih sepak takraw di Sekolah Dato Abdul Razak (SDAR), Seremban. Baru saja kahwin dengan arwah isterinya. Macam-macam pemimpin terpaksa pujuk dia supaya tanding ADUN. Selepas jadi exco selama sepenggal, Isa dilantik Menteri Besar Negeri Sembilan dan kekal selama 22 tahun. Selepas saja kemenangan, khabar angin segera kedengaran bagai dirancang meniup khabar Isa main duit. Siapa yang main duit semasa itu, penulis tidak mahu mengungkit lebih dari yang perlu buat masa ini. Kebanyakkan orang tahu politik wang begitu meluas semasa pemilihan UMNO pertama bawah pentadbiran Pak Lah. Yang paling kuat main adalah orang-orang Pak Lah sendiri. Kalau dah bapak main taik, anak-anak ikut berlumuran sekali. Penulis tidak berani nafi Isa tidak terlibat langsung tetapi penulis pernah bertemu dengan seorang ejen bagi seorang calun yang diingat ramai tidak main duit tapi memberi RM20,000 pada ejen tersebut. Isu sini untuk seseorang itu dihukum, buktinya mesti cukup dan meyakinkan. Inikan pula untuk digantung hak keahlian selama enam tahun (bersamaan dua penggal jawatan dalam UMNO) dan terpencen dari pelbagai jawatan. Yang menimbulkan syak adalah bila Pak Lah boleh cepat membuat kenyataan mudah pada esok hari September 24 2004 itu sendiri. Itulah isyarat go head untuk kenakan Isa. Khabar angin mengenai Isa saja kedengaran dan tidak orang lain. Empat hari selepas keputusan pemilihan, Isa terpaksa membuat kenyataan supaya spekulasi mengenai penglibatannya dalam politik wang dihentikan. Beliau meminta ahli-ahli tumpukan usaha melaksanakan tugas masing-masing. Ura-ura Isa akan dikenakan sudah diketahui dari sumber orang-orang Pak Lah sendiri pada malam Isa monang bosa. Isa dikenakan bukan kerana politik wang. Kalau diikutkan, hampir semua terlibat dalam politik wang. Yang boleh dikata tidak terlibat, hanya yang sudah selamat dengan jawatan seperti Dato Seri Najib dan yang kalah dan tak mahu beri wang seperti Dato Shafie Salleh, Dato Aziz Shamsuddin, Dato Kadir Sheih Fadzir, dan beberapa kerat saja yang lain. Sebagai persediaan untuk menikam keris untuk membunuh politik Isa, maklumat telah dibocorkan ke Mingguan Malaysia tarikh Jun 20hb, 2005. Timbalan Pengerusi Lembaga Disiplin UMNO, Tan Sri Zaki Tun Azmi membayangkan ada pemimpin kanan UMNO akan dipanggil menghadap lembaga atas dakwaan melanggar tataetika pemilihan parti. Besoknya Utusan mula membuat spekulasi mengenai siapa yang bakal dipanggil. Laporan dibuat seolah-olah pemimpik kanan tersebut adalah antara Isa atau Ali. Pak Lah pun sambut permainan media Tingkat 4 kemudian hari pada Jun 22hb. Dia memberi peringatan agar pemimpin kanan itu perlu sedia membela diri sendiri. UMNO tidak akan melindungi "hatta saya sendiri pun". Lain macam sekali intonasi Pak Lah. Bila ditanya wartawan kenapa keputusan Lembaga Disiplin begitu lewat, alasan yang diberi adalah Lembaga Dispilin perlu teliti. Katanya, "Ketidakadilan boleh berlaku kalau mereka gopoh dalam membuat keputusan." Tetapi ketidakadilan boleh juga berlaku bila terlalu lama kerana saksi dan bukti boleh diatur. Ini yang berkait dengan cadangan Setiausaha Agung, Datuk Seri Radzi Sheikh Ahmad dua bulan sebelum itu agar Lembaga Disiplin tidak umumkan kepada media nama ahli parti yang didapati bersalah. Dia ingin menangani persepsi buruk terhadap parti. Disamping itu, dia sudah bau ada permainan jahat sedang berlaku dan cuba mengurangkan pergeseran dalaman parti dengan mendiamkan perkara ini. Dato Seri Syed Hamid Albar pun turut menyentuh mengenai masalah anggota UMNO yang melanggar tataetika parti sepatutnya telah lama diselesaikan iaitu sebaik berakhir pemilihan. Dari September 23hb 2004 ke Jun 2005, Lembaga Disiplin memakan masa 9 bulan untuk siasat. MT tidak setuju pada cadangan Radzi. 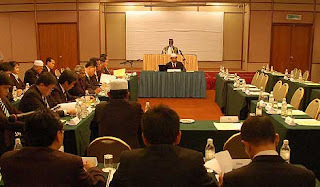 Pada April 28hb, 2005, mesyuarat Majlis Tertinggi UMNO membenarkan Lembaga Disiplin boleh umumkan keputusan kepada umum. Nama Isa akan diburuk dan dimalukan. Utusan Malaysia bertarikh Jun 22hb, 2005 melaporkan Lembaga Disiplin mempunyai 40 saksi terhadap pemimpin kanan tersebut. Orang ramai sudah mula di prep up atau dikondisikan untuk bersedia menerima Isa di hukum. Isa dipanggil menghadap Lembaga Disiplin pada esoknya Jun 23hb, 2005 untuk memberi keterangan. Beliau memberi keterangan selama 1 jam 40 minit di hadapan panel Lembaga Disiplin yang dilaporakn akhbar terdiri daripada Tan Sri Tengku Ahmad Rithauddeen (Pengerusi), Tan Sri Zaki Tun Azmi (Timbalan Pengerusi), Datuk Seri Khalid Ahmad Sulaiman, Datuk Seri Megat Najmuddin Megat Khas, dan Datuk Rosnah Abu Bakar. Turut kelihatan berada di Ibu Pejabat UMNO ialah Exco Kerajaan Negeri Pahang yang juga Ketua UMNO Bahagian Raub, Datuk Shahiruddin Ab. Moin. Keesokkan hari pada Jun 24hb, 2005, Lembaga Disiplin mengumumkan keputusan yang mendapati Isa salah atas lima dari sembilan pertuduhan dan hak keahlian digantung selama 6 tahun. Kenapa tidak disebut sahaja salah atas lima tuduhan? Lembaga Disiplin bermesyuarat selama dua jam dari pukul 11 dan surat penggantungan diserahkan ke pejabat Isa di Kementerian Wilayah Persekutuan pada pukul empat petang. Salim, Setiausaha Politik Isa semasa itu memberitahu wartawan bahawa Isa agak terkejut dengan keputusan tersebut. "Terkejut, memang terkejut kerana beberapa sebab yang antaranya baru semalam beliau dipanggil, hari ini terus keluar keputusan dan kemudiannya pertuduhan berkenaan sangat longgar yang bersandarkan kepada bukti di pihak lembaga semata-mata. "Ini bukan bicara ketua cawangan tetapi orang nombor tiga dalam parti, takkan dalam masa dua hari sudah selesai. Ini pun jelas timbul tanda tanya seolah-olah sudah ada keputusan baru panggil untuk lengkapkan syarat," tegas Salim. Reaksi Radzi bila ditanya kenapa cepat sangat keputusan itu dibuat oleh Lembaga Disiplin, dia hanya melenting, "Habis, nak lambat." Semasa proses pengadilan ini, Datuk S Sothinathan yang merupakan ahli Parlimen Teluk Kemang digantung jawatan selama tiga bulan kerana kesalahan mengkritik kerajaan dalam Parlimen. Ketika itu, Pak Lah sedang menguakkan kuasanya. Sana sini cerita mengenai Pak Lah, menantu Khairy dan keluarganya sudah mula kedengaran di kedai teh dan coffeehouses dan khususnya di pasaraya politik, The Mall. Isa diberikan peluang untuk membuat rayuan dan dilaporkan akan menghantar surat rayuan pada Jun 25 atau 26 Jun sebelum mesyuarat MT pada Jun 30hb. Itu semua tidak penting. Dia memang mahu dimatikan. Semasa itu kedudukkan Isa dalam kerajaan belum ditentukan lagi dan sepatutnya dibincangkan dalam MT. Belum pun mesyuarat, Pak Lah sudah minta Isa berundur dengan terbuka pada Jun 28hb. Dato Shahiruddin Moin yang turut sama berada di PWTC bersama Isa semasa dipanggil mengadap dihukum tetapi Tan Sri Adnan Yaacob masih mengekalkannya sebagai exco. Kenduri rumah Shahiruddin tidak ada elemen politik atau syarahan. Ramai tahu saksi kenduri rumah Shahiruddin diatur. Walaupun Lembaga Disiplin cuba menerangkan proses keputusan, syak wasangka pemerhati politik masih berterusan. Radzi terpaksa menafikan Isa bukan 'korban politik'. Walaupun dimangsa, sebagai orang parti yang setia, Isa turut membantu menafikan laporan Reuters yang mengatakan Isa dikambinghitamkan untuk Pak Lah kelihatan mahu membersihkan parti. Dalam pada itu, Ali Rustam yang baru-baru ini disahkan terlibat dengan politik wang tidak diapa-apakan langsung. Orang setia Pak Lah ini tidak terima surat memanggilnya menghadap. Tidak ada langsung laporan terhadapnya. Jauh sekali 40 orang saksi bertulis. Namanya begitu tersebar sebagai begitu 'pemurah'. Semasa itu, sebarang laporan tidak semesti diberi perhatian. Beberapa tahun kemudian, laporan penggunaan wang untuk memastikan Dr Mahathir dikalahkan dari jadi perwakilan Kubang Pasu ditolah oleh Setiausaha kerja UMNO General Husainey. Ini adalah era UMNO sedang angkuh sekali. Era Pak Lah sebagai Perdana Menteri dan menantu Khairy yang hanya boleh tunjukkan Universiti Oxford dari apa-apa pencapaian peribadi untuk ditunjukkan. The era the Government knows everything but the PM knows nothing. Apa yang berlaku disebalik pengadilan Isa yang begitu mencurigakan? SPR sudah umumkan hari penamaan calun untuk DUN Bagan Pinang, Negeri Sembilan pada Oktober 3hb, 2009, lebih kurang dua minggu selepas hari raya yang dijangka jatuh pada hari Ahad September 20hb, 2009. 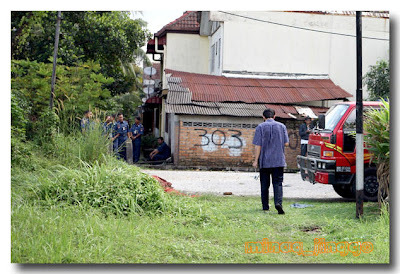 Manakala, hari pengundiaan undi jatuh pada Ahad, Oktober 11hb, 2009. PAS dikhabarkan sudah ada tiga cadangan calun termasuk Zulkifli Omar, Ketua Pesuruhjaya PAS Negeri Sembilan. Pastinya, siapa saja calun mereka akan bergantung kepada pilihan UMNO untuk Bagan Pinang. Mengikut kehendak UMNO Bahagian Telok Kemang, tiada lain pilihan melainkan ikon Telok Kemang, Tan Sri Isa Samad. Memilih Isa menimbulkan masaalah persepsinya sendiri. Kalau diikutkan, Isa telah menjalani hukuman dan sepatutnya diberi benefit of the doubt. Ada merasakan ia tidak memadai. Samada Isa bertanding atau tidak, peristiwa sebenar disebalik hukuman terhadap Isa perlu didedahkan agar ia memuaskan pengundi-pengundi muda. Bagi orang-orang lama macam Isa, mereka tidak gemar mengungkit apa yang sudah lepas. Yang dah lepas tu, lepaslah. Rasmi orang muda lain pula. Kebenaran tidak harus terus disorok. Walaupun namanya tercemar, digantung keahlian selama enam tahun dan dibuang dari jawatan Naib Presiden UMNO, Isa masih ada tempat dihati UMNO Telok Kemang. Tanpa susah payah, jawatan Ketua Bahagian dipulangkan kembali kepadany atanpa pertndingan pada awal tahun ini. Semua pihak dalam UMNO memahami sentimen ahli UMNO Telok Kemang. Tidak ada isu kononnya Tan Sri Muhyiddin Yassin mengatur rancangan untuk menahan bekas pesaingnya semasa bertanding untuk Naib Presiden UMNO pada tahun 2005. Kenyataan Naib Ketua Wanita, Dato Kamelia mencadangkan calun dari Wanita UMNO pun hanya permintaan biasa dari sayap Wanita. Pesanan Pengerusi BN dan Presiden UMNO itu juga berkemungkinan mempunyai dwi-maksud untuk Bagan Pinang. Bagi Isa Samad yang kini tiada lagi jawatan dan kerusi wakil rakyat, samada di DUN atau Parlimen, popularitinya adalah adalah lebih berharga untuk UMNO. Ada pula pihak melihat Isa Samad yang begitu popular dan disayangi di kalangan ahli UMNO Telok Kemang tidak tentu lagi popular dengan pengundi Telok Kemang, khususnya pengundi muda. Kelaziman orang muda ini mereka mudah bosan dengan sesuatu yang kebiasaan. Mereka sentiasa dahagalan benda dan orang baru yang boleh membawa ide dan sesuatu berbeza. Orang muda pun agak hitam putih dalam penilaian moral. Mereka buat kesimpulan mudah bahawa Isa telah disabitkan salah melakukan politik wang, maka dia dianggap seorang perasuah. Panjang atau pendik hujah, mereka beranggapan UMNO tidak patut meletakkan seorang perasuah sebagai calun. Jika ini tidak diambilkira, maka akan berlaku seperti di Permatang Pasir di mana pengundi muda kurang turun. Mereka mahu undi UMNO tapi tidak berkenan dengan pilihan UMNO. Pemikiran ini ada kebenarannya dan amat penting UMNO menunjukkan keseriusan untuk mengubah cara dan imej untuk menjauhkan diri dari mereka yang melakukan amalan politik wang dan rasuah. Tidak boleh ambil mudah dan ada sikap tidak apa. Disebalik apa yang terpapar kepada awam oleh media massa, persepsi itu jauh dari kebenaran. Media massa yang dikuasai semasa itu oleh Kalimullah, Brendan Pereira, Anuar Zaini, Kamal Khalid dan algojo Neo Con Malaysia telah membina imej yang sangat buruk terhadap Isa. Dia telah dikambinghitamkan dan diputarbelit sebagai kononnya nama UMNO sedang dibersih dari imej politik wang yang berleluasa hingga Dr Mahathir pernah menangis di atas podium. Penghukuman Isa itu tidak difahami umum. Pada tahun ianya berlaku 2005, seorang lagi ahli UMNO melakukan politik wang tetapi Pak Lah lepaskan. Zaki Zahid, seorang ahli kumpulan yang digelar Tun Mahathir sebagai Tingkat 4, disah terlibat dengan politik wang. Sementang Zaki mengetuai Unit Polisi di pejabat Perdana Menteri dan juga kawan rapat Khairy, dia hanya diberi amaran sahaja. Sepatutnya dia telah dilucutkan dari jawatannya dan juga dipecat keahliannya. Antara begitu banyak tindak tanduk dan tutur kata pelik dari Pak Lah semasa menjawat Perdana Menteri, ini salah satu darinya. Pak Lah bukan seorang yang adil dalam membuat keputusan. Asal keluarga dan orang yang rapat dengannya, mereka lepas dan boleh bermaharajalela. Isa dihukum dengan satu hukuman yang sangat berat. Keahliannya digantung selama enam tahun kerana Isa perlu dipencenkan dari politik. Norehsanuddin yang ada membantu kempen Isa digantung keahlian selama tiga tahun kerana mengadakan kenduri kendara yang tidak ada kena mengena dengan politik. Dia dihukum berasaskan tuduhan tanpa diberi peluang mempertahankan diri. Semua ini berlaku kerana Isa dilihat dan dipercayai oleh satu pihak dalam UMNO sebagai “orang” seseorang. Dia digeruni kerana latarbelakang Isa sebagai pemimpin akarumbi dan begitu popular. Selain Khir Toyo, Isa dilihat boleh menjadi rintangan kepada sebuah grand design untuk menaikkan seseorang dan mencapai dominasi kuasa yang total dalam UMNO. Cerita dan butir disebalik konspirasi terhadap Isa Samad akan didedahkan. Ini agar anak-anak muda tidak tersilap membuat kesimpulan mudah terhadap seorang yang telah berjasa dalam parti. Bekas guru yang naik dalam UMNO dari bawah menjadi Menteri Besar Negeri Sembilan selama 22 tahun sedikit sebanyak ada meninggalkan jasa. Tidak adil untuk Isa diburukkan sekian rupa. Tujuan sini bukan khusus untuk berkempen agar Isa dipilih sebagai calun untuk Bagan Pinang. Itu terpulang kepada Perdana Menteri untuk membuat keputusan. Asal PM membuat keputusan yang berdasarkan maklumat yang cukup dan semua aspek telah diambilkira dan diberi pertimbangan. Bagi penulis, penting sekali kebenaran harus diketahui agar nama buruk yang telah dilakarkan terhadap Isa tidak berterusan lagi. Jika tidak, ianya akan kekal macam khabar angin kononnya Najib ada hubungan intim dengan Ziana Zain. Cerita ini pun Isa tahu kerana Anwar Ibrahim tergila-gila menalipon Isa berkenaan ini. Bagi yang tidak tahu, Anwar Ibrahim adalah orang yang mengatur menyebar cerita bohong terhadap Najib. Saja menyebut perkara ini kerana penulis dapat rasa Anwar sedang merancang untuk menghidupkan pembohongan yang dia sendiri reka dahulu terhadap Najib. Bukankah baik dia segerakan bicara mahlamah agar rakyat dapat dijelaskan bagaimana DNA Anwar dijumpai dalam dubur Saiful? 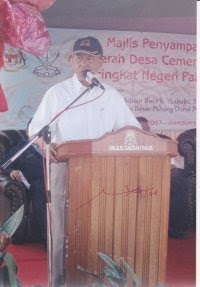 YB Azman, the State Assemblymen for Bagan Pinang died last Friday. May Allah bless his soul. As it is, Anwar is rearing to go for an 8-1. Hadi and PAS have fired the first salvo to raise the issue of the presense of 5,000 postal votes in the 14,000 voters Bagan Pinang DUN area. But quietly they have roped in former army high officials in their fold to do their house to house campaigning. Although it is disrespectful to certain Malay custom to start dividing the decessed's "property" when the grave soil is still fresh, one can quite understand their excitement. 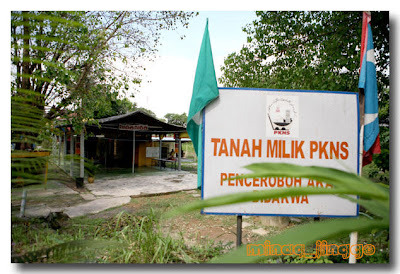 Pakatan have made in-road into Negeri Semblan and in particular, the Telok Kemang Parliamentary area. What was once a BN stronghold, has PKR and DAP representatives at the State Assembly. 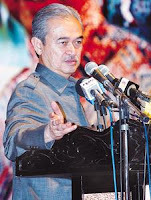 The current and viewed as the most unpopular Menteri Besar of Negeri Sembilan, Dato Mohamad Hasan said he is leaving it entirely to the Division Committee to offer several candidates to the PM. Is it really true he is abstaining from interfering? The Division is due to meet on Thursday to decide. But political pundits are placing their money on Tan Sri Isa Samad, the former Menteri Besar. Khairy - viewed suspiciously by Isa as part of the invisible hands in the grand design to topple him from his Vice President post in 2004 - could only offer a timid advise to choose the right candidate. 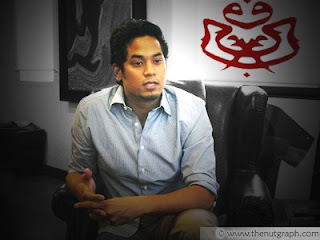 Strangely, the unofficial UMNO Bagan Pinang blog is full with paraphenalia of Khairy. However, the Bagan Pinang branch is headed by Isa. He is also the Division head for UMNO Telok Kemang Division who returned unanimously recently. The voices on the ground are loudly and clearly calling for Isa to be selected as candidate. 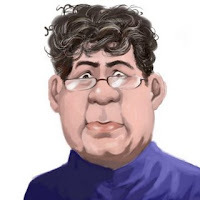 Sentiments for Isa can be partly due to the belief that he was made scapegoat and money politics was merely an excuse in the 2004 party election. Isa had unexpectedly came out the highest in a tight VP race against Muhyiddin, Ali Rustam, Muhammad Taib and other powerhouses in 2004. Many believed that Isa had to be brought down in a grand design to strengthen Tun Abdullah's faction stronghold on Negeri Sembilan to make passage safe for Khairy. Isa's UMNO membership was suspended for three years by the Disciplinary Committee and automatically removed from his Vice Presidency post. Those familiar with the case against Isa described the disciplinary process as questionable. Isa's defense and rebuttal to the accusation was rejected outright and not given fair consideration. The proof's presented were clearly frivolous and unsubtantiated. The committee seemed to have been instructed from "upstairs" to find Isa guilty and dish out a severe punishment. This was not unusual during the early reign of Abdullah. Dato Ibrahim Ali was arbitrarily removed as Division head. Blogger Zaharin Yassin was sacked by the Majlis Tertinggi despite recomended by the Disciplinary Committee for temporarily suspension and after a deal was made to secure his apology. 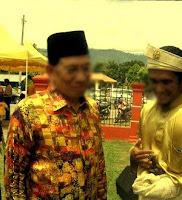 While in Negeri Sembilan, Mohamad Hasan or Mat Hasan as he is usually refered to failed miserably as Menteri Besar. 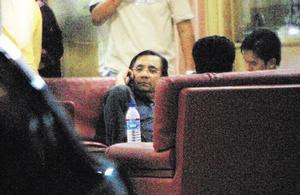 He was seen as giving control on the state and party matter to his elder brother Azman. In a recent closed door state UMNO pow-wow with Muhyiddin, he was openly criticised by participants for his family cronyism practises to place his family members all over the place. The general feeling is he is the most unpopular Menteri Besar Negeri Sembilan had ever had. He is only counting days. Even in a recent UMNO Rembau annual general meeting, he was howled from the floor during his speech. Sources informed that the howler was removed and beaten up by his Divisional goons. Consensus within Negeri Sembilan believe that Negeri Sembilan BN's poor showing in the last General Election was attributed to the anger in the treatment of Isa, the resentment towards Abdullah and Khairy, and Mat Hasan factor. BN is administering the state with only a three seat majority. Isa's Telok Kemang Division to lost three ADUN seats to Pakatan. It could be out of sentimental factor that Isa is sought after to stem this slide. Many in the party long for the day that Negeri Sembilan was a BN stronghold state under the "reign" of Isa. The decision is left to Najib but it is a tricky one. Political pundits are saying the choice is Isa Samad or lost? Najib can't afford to keep using the excuse that BN lost in a strong opposition area. Before the current situation, BN are usually near invincible during by-elections and would only lose to big name opposition candidates. Another tricky part is Isa represents the preservation of a war lord culture and inhibits Najib's plan to meremajakan UMNO by injecting fresh new blood. As it is, many believed that former Ketua Pemuda Telok Kemang and son, Najib Isa is a choice and so are one or two other. Maybe Najib has to face up to political reality on the ground and make Bagan Pinang an exception. An Isa win could destabalise the internal state politics within UMNO. Mat Hasan could take that as a signal from above to oust him, although it is unlikely for Isa to make a return as MB. The biggest question would be: Is Isa qualified to meet the current political senario? In addition to the tattered image of money politics, there are those that see Isa as a misfit today. The revival in support for Isa is seen as factional reaction against Mat Hasan. Isa will certainly have to explain what he meant by those 2,000 delegates answerable to him at Padang Mahsyar said on the last day of the UMNO General Assembly of 2004. Many worry that PAS would capitalised on his money politics past. The saving grace this time around is PAS will not dare play character assasination against him. It will be severely retaliated, especially if BN is on the losing, as what Mahfudz received in Permatang Pasir. A personal attack on an established politician could backfire. As veteran, Isa is quite capable of taking and dishing back insult even with Anwar Ibrahim. Some amendment proposed for the new UMNO Constitution seek for local Division to choose their election candidates. Helicoptering candidates seldom lead to disaster and stifle local machinery. Isa is unquestionably the popular choice but it leaves the party stuck in old school way of doing things. Something Najib wants to move on from. But this is where realpolitiks or the reality of politics. After all the analysis, rhetorics and intelectualism, it will come down to votes delivery. When it is down to the crunch like this, it is a question of winning. After all, isn't Anwar an ex-convict indicted for abuse of executive power to instruct police officers to turnover allegations made against him? 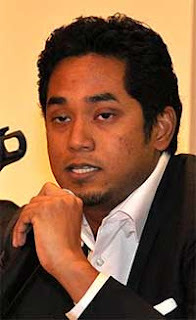 In the meanwhile, Khairy may have to just keep quiet and helplessly look at the prospect of Isa returning from the dead. Membaca blog The Unspinners sini, saya diingatkan pertemuan yang saya hadhiri pada Disember 2005 yang dipanggil Kongres Kepentingan Bangsa. Ia merupakan satu pertemuan minda pelbagai kumpulan politik dan pertubuhan di Universiti Teknologi Malaysia Jalan Semarak, Kuala Lumpur anjuran Gabungan NGO-NGO Melayu. Di bawah naungan Tengku Razaleigh Hamzah, pertemuan itu menemukan ketiga-tiga parti politik Melayu - PAS, PKN dan UMNO berserta NGO-NGO Melayu, Bumiputera Malaysia Timor dan Islam. Bagi UMNO, ianya bukan dihadiri keseluruhan UMNO tetapi yang pasti, ia tidak dihadhiri fraksi Musa Hitam/Abdullah Badawi yang sedang memerintah. Tan Sri Khalid Ibrahim merupakan salah seorang ahli panel beserta Tan Sri Ali Hashim, dan Dato Sulaiman Sujak dalam sesi ekonomi. Tidak dapat saya lupakan Khalid Ibrahim menggelar ahli-ahli lembaga pengarah syarikat-syarikat berkaitan kerajaan yang merupakan bekas-bekas pegawai kerajaan sebagai "lembu". Ali Hashim menegur Khalid Ibrahim yang tidak sopan dalam memberi pandangan. Semasa itu, Khalid Ibrahim mungkin tengah marah dan berdendam kerana disingkirkan dari Guthrie. Bagaikan roda yang berkitar, Khalid kini dipanggil "Menteri Besar Bodoh" oleh orang kebanyakkan dan tersiar di seluruh negara. Siapa lembu sekarang? Kenyataan Perdana Menteri Dato Seri Najib amat tepat sekali. Perdana Menteri, Datuk Seri Najib Tun Razak berkata kerajaan negeri yang dikuasai pembangkang kini dilihat mula dipersoalkan satu persatu oleh rakyat yang ternyata semakin sangsi dengan kewibawaan mereka mentadbir. Menurutnya, jika sebelum ini pembangkang dilihat amat mudah mempertikaikan kerajaan BN, kini mereka perlu sedar bahawa bukanlah mudah mentadbir seperti mana mudahnya mereka berjanji sesuatu kepada rakyat setiap kali menjelang pilihan raya umum. "Sebenarnya bila mereka jadi pembangkang, amat mudah bagi mereka untuk mempertikaikan kerajaan BN, kononnya kita tidak berwibawa dan sebagainya. "Hakikatnya bila kita (mereka) mentadbir, tidak semudahnya seperti mana sewaktu mereka lakarkan sewaktu mereka jadi pembangkang. Beberapa kes yang berlaku ini (ketika ini) adalah disebabkan janji mereka buat sebelum pilihan raya dan juga kegagalan mereka untuk membuat keputusan yang tepat dalam keadaan setempat dan ambil kira masyarakat berkenaan," katanya. Beliau berkata demikian ketika diminta mengulas mengenai majlis dialog bersama penduduk Seksyen 23 berhubung cadangan pemindahan kuil dari Seksyen 19 ke kawasan perumahan mereka yang berlangsung dalam suasana kecoh semalam. Najib berkata apa yang berlaku itu jelas memperlihatkan kerajaan negeri yang dikuasai pembangkang menghadapi pelbagai masalah dan mereka gagal menangani sesuatu isu yang berlaku. "Kewibawaan kerajaan pembangkang di negeri yang mereka kuasai sudah dipersoalkan rakyat sendiri. 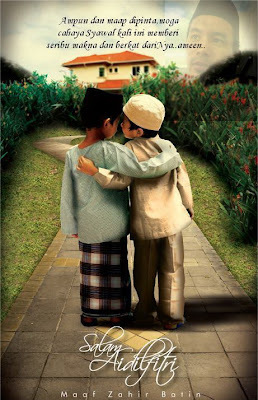 "Bila mereka ada kuasa, mereka menghadapi begitu banyak masalah, sama ada masalah itu disebabkan mereka gagal menunaikan janji (pilihan raya umum lepas), (atau), masalah keputusan mereka tidak memenuhi jangkaan rakyat, atau masalah itu berbangkit kerana ketidaktepatan dan kecuaian membuat keputusan dalam sesuatu situasi," kata Najib. Ditanya sama ada kerajaan pusat akan campurtangan atau membantu kerajaan negeri Selangor untuk menyelesaikan isu berkenaan, Najib berkata kerajaan pusat tidak dapat membantu kerana soal tapak baru kuil terbabit adalah bidang kuasa sepenuhnya kerajaan negeri. Khalid yang dahulu menggelar bekas-bekas pentadbir-pentadbir kerajaan sebagai lembu ternyata sekali tidak boleh mentrasformasikan keupayaannya sebagai mengurus perniagaan untuk menjadi seorang pentadbir awam. Ini masaalah orang korporat yang perasan cara mereka yang pada zahirnya kelihatan lebih cekap, berkesan dan berhasil. Dunia korporat hanya tertumpu kepada operasi pernaigaan dan objektif yang fokus atau sempit ke arah kepentingan pemegang saham. Bagi pentadbir awam, ruang kepentingan, variable dan sensitiviti yang perlu dihadapai adalah lebih kompleks. Bagi isu yang melibatkan sensitivit ugama dan kaum, ianya memerlukan sesuatu yang menjangkaui hanya rasionaliti tetapi perasaan, kepercayaan kepada pihak berkuasa atau yang menguruskan, amalan dan lain-lain. Isu seperti ini tidak boleh diletakkan KPI atau tempuh masa segera seperti yang dituduh oleh Khalid Ibrahim, Khalid Samad dan Ronnie Liu terhadap kerajaan sebelum ini kerana ia perlu dilakukan berhati-hati. Selalunya pembabitan ahli politik pembangkang dan aktivis-aktivis kiri dari luar masyarakat yang menjadikan masaalah itu kompleks. Kini, tanpa perlu pihak UMNO atau BN terlibat pun, kerajaan yang dahulu pembangkang pun sudah tidak boleh uruskan. Padan muka, Dahulu pandai api-apikan orang ramai. Dengan rakyat biasa saja mereka tidak boleh tangani. Bagaimana putaran roda, what goes around comes around, kini dikhalayak awam dan dilihat seluruh negara, Khalid IBrahim dipanggil "MB Bodoh!" dan wakil-wakil rakyat Pakatan Rakyat dimaki hamun buta-buta oleh rakyat biasa. Tanpa perlu mengulang hujah-hujah yang sama, kerajaan Pakatan baik menelan kembali slogan yang mereka laungkan kononnya memperjuangkan rakyat. Dimana DAP sebagai parti yang sering memperjuangkan setinggan dalam isu Kampung Buah Pala? Habuk tak ada. Kini pula isu peniaga-peniaga Melayu tepi jalan yang dihalau oleh Majlis Perbandaran Pulau Pinang. Seperti kata Uthayakumar, DAP hanya bising jika ianya melibatkan kaum Cina saja. Dalam isu di Selangor, kerajaan Pakatan tidak langsung mengambilkira timbal balas rakyat dan mudah menerima buta apa yang dikatakan sebelah pihak. Demi politik, mereka korban pihak majoriti. Hanya sebelah pihak diambilkira dan didengari tetapi tidak diambilkira langsung ketidakpuasan hati pihak yang lain. Sudah masa mereka berhenti berpura-pura dan henti gunakan perkatan Rakyat dalam slogan mereka. Nama pada mereka yang sesuai adalah Pakatan Riot. Disebabkan tindak tanduk Khalid Ibrahim dan jemaah wakil rakyat dan exco, keharmonian rakyat antara kaum di Seksyen 23 kini menjadi riotous. Tak payah nak tuduh-tuduh UMNO untuk alih pandang, isu ini isu penduduk setempat dan Khalid Ibrahim gagal mendengar dan hanya mengikut cara korporat, yang memintingkan keuntungan, tidak pernah prihatin dengan rintihan rakyat biasa. Khalid Samad pula terus dengan cara degil dan kaki belit macam abangnya Dato Shahrir Samad. Sebagaimana dijangka sebelum ini, Hindu Sanggam berubah fikiran dan kini enggan berdamai. Maklumat ini diberitahu oleh beberapa penduduk Seksyen 23. Sepatutnya pagi ini ada majlis damai pada pukul 10:30 pagi tetapi dibatalkan kerana mereka dijemput berjumpa dengan Menteri Besar Tan Sri Khalid Ibrahim, exco-exco dan wakil-wakil rakyat yang terlibat. Sehari sebelum pada hari Khamis 2:30 tengahhari, satu sidang akhbar "perdamaian" bersama juga telah dibatalkan oleh pihak Hindu Sangam. Semasa mesyuarat dengan Hishamuddin, mereka menyatakan memahami rungutan penduduk dan sedia menerima dengan niat baik penjelasan yang dibuat oleh wakil penduduk. Kini bukan saja Hindu Sangam membatalkan usaha-usaha perdamaian tetapi ada pihak yang selari dengan mereka, bercadang mengadakan tunjuk perasaan di Kuala Lumpur. Mengapa masaalah Shah Alam perlu adakan tunjuk perasaan di Kuala Lumpur? Berkenaan rancangan ini, Ketua Polis Negara, Tan Sri Musa Hasan telah memberi amaran keras terhadap sebarang usaha sedemikian. Disamping itu, Peguam Negara meminta dijalankan penyiasatan lanjut mengenai perkara ini. Ini agak pelik kerana Ketua Polis Selangor, Dato Khalid Abu Bakar telah mengumumkan penyiasatan telah selesai pada Rabu lepas dan lebih 100 kenyataan saksi telah diambil. Selepas pendedahan dibuat mengenai kes ini yang memintas putarbelit yang cuba dilakukan oleh Ahli Parlimen Shah Alam, Khalid Samad, beliau telah menghantar surat kepada penduduk Seksyen 23. Boleh diperolehi di blog beliau sini. Surat ini amat berlainan sekali intonasi dari cara keras dan berkonfrantasi beliau terhadap penduduk Seksyen 23. Isi kandungnya lebih pada memujuk supaya bertoleransi. STUNG by criticism that their lackadaisical attitude led to the row over the relocation of a Hindu temple to Shah Alam’s Section 23, former Selangor leaders have taken a swipe at the Pakatan Rakyat State government for being “arrogant” and condemned its persistence in blaming others for its incompetency. Former Selangor Menteri Besar Datuk Seri Dr Mohd Khir Toyo, incensed by Shah Alam MP Khalid Samad’s remarks that the “cow head” temple relocation issue could have been avoided if the previous Barisan Nasional government had relocated it in the 26 years it was in power, said it was all the fault of the Pakatan Rakyat “arrogant government”. “The temple issue in Section 19 could have been solved by holding discussions and public hearings but the PR government is an arrogant government that does not want to listen to the views of the community. They believe they are powerful to do anything but when they make mistake, they will shift the blame to the previous government,” he told Malay Mail. “Khalid has forgotten his promise during the general election to resolve all the problems yet to be resolved by the previous government within a year, including the problems surrounding non- Muslim places of worship in Shah Alam. He also promised to close down the brewery in Shah Alam,” Dr Khir claimed. “What’s certain is that their promises will keep the rakyat waiting for something that will never happen,” he said. 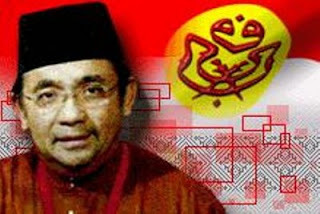 His sentiments were supported by former Selangor Local Authority, Housing, Squatters and Environment Committee chairman Datuk Mohd Mokhtar Ahmad Dahalan, who lashed out at Khalid for saying the BN government had 26 years to relocate the temples, during which there were plenty of options as to where to relocate them. “If you are able to discuss and justify your actions, all parties will be able to come to an understanding and a compromise. This was how we handled issues then and if the current State government had chosen to use the same approach, I’m sure the issue wouldn’t have escalated to this level,” Mokhtar said. He also refuted the opposition’s claim that the BN government did not have the complete data on the number of places of worship in the State. “We even had a committee to look into the welfare of Hindus, Buddhists and Christians in Selangor. Of course we had the complete data because there were budget allocations for each one of them,” he said, adding that details were available from former exco members Datuk Tang See Hang (former Rawang assemblyman), who was in charge of the committee, and Kamala Ganapathy (former Seri Andalas assemblyman). 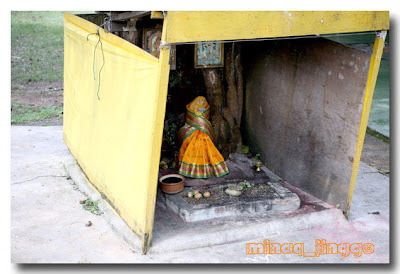 YESTERDAY, Khalid said Hindu temples, originally erected on rubber estates by the Indian estate workers, were never relocated by the previous State government after the estates were bought over by the State Economic Development Corporation (PKNS) to be developed into residential areas. Khalid slammed the BN government, claiming it never took the matter seriously. He claimed that this had led to the situation faced by residents of Section 19, where the location of the temple (to Section 23) was deemed unsuitable as it would be in the middle of a Malay majority residential area. Tulisan Khalid Samad jelas menunjukkan dia masih tidak mengambil peduli rungutan yang dihadapi oleh penduduk Seksyen 19 dan hanya berhasrat memindahkan masaalah berkaitan kuil tersebut ke Seksyen 23. Baca komen Selangordaily Blog berkenaan surat Khalid Samad sini. Sebagaimana juga Khalid Ibrahim, Khalid Samad hanya cepat menyalahkan kerajaan BN kerana tidak menyelesaikan masaalah ini. Padahal usaha sudah dilakukan tetapi kuil tersebut masih berdegil dan bertukar-tukar cakap seperti yang dilakukan oleh Hindu Sangam. SHAH ALAM, 4 Sept (Bernama) -- Kerajaan negeri Selangor di bawah pemerintahan Barisan Nasional (BN) sebelum ini pernah memperuntukan tapak untuk membina rumah ibadat bukan Islam di Seksyen 18 dan tapak alternatif di Seksyen 22 di Shah Alam pada tahun 2006. Bekas Menteri Besar Selangor Datuk Seri Dr Mohamad Khir Toyo berkata semua pihak bersetuju dengan penawaran tapak seluas 0.92 hektar itu yang dapat menampung pembinaan tujuh rumah ibadat. Tapak tersebut telah telah siap dibangunkan dengan kemudahan asas seperti jalan raya dan lampu jalan dengan kos sebanyak RM600,000, katanya kepada pemberita di tapak berkenaan di sini pada Jumaat. "Perjanjian awal kita dengan pihak berkenaan mendapat persetujuan sehingga kerajaan negeri menyiapkan kemudahan infrastruktur tetapi sebaik siap pada 2007 mereka enggan berpindah begitu juga dengan tapak di Seksyen 22," katanya. Dr Mohamad Khir berkata tuduhan bahawa kerajaan negeri sebelum ini tidak prihatin dengan keperluan penganut bukan Islam adalah tidak betul dan berniat jahat kerana tapak untuk menempatkan rumah ibadat disediakan. Lokasi di Seksyen 18 itu juga tidak jauh dari Seksyen 23 iaitu hanya kira-kira tiga kilometer sahaja, katanya ketika mengulas kontroversi cadangan pembinaan kuil Hindu di Seksyen 23 yang mendapat bantahan penduduk beragama Islam. "Kita yakin tapak ini yang terbaik malah di sini kedudukannya tidak berdekatan dengan perumahan jadi aktiviti keagamaan boleh dilakukan 24 jam tanpa sebarang gangguan," katanya. Dr Mohamad Khir menjelaskan bahawa memang dari dahulu penduduk Seksyen 23 tidak setuju dengan cadangan tapak menempatkan rumah ibadat bukan Islam di kawasan mereka. "Oleh itu kita cari tapak alternatif dan semua pihak bersetuju tetapi kini mereka berubah fikiran selepas mendengar janji-janji daripada kerajaan Pakatan Rakyat," katanya. SELANGOR State government executive councillor for Local Government, Study and Research Committee Ronnie Liu yesterday said the former State government led by Datuk Seri Dr Khir Toyo never had any records on the number of places of worship in the State. That’s why the Selangor State government is finding it difficult to get the exact number of places of worship in the State. Liu said a committee was set up by the current administration a few months ago to look into the matter. “We tried compiling the numbers, by referring to various religious associations and agencies. However, the number that we compiled was small and inaccurate,” he said. He also said information was limited as the associations and agencies were only able to provide the number of worship houses registered under them. He added that a letter was sent by the committee to the Registrar of Societies (ROS) several months ago to obtain the number of registered houses of worship in the State but had yet to get a reply. “The ROS is the only way we can get the exact number. We will be following up with them again,” he said. Former Selangor Menteri Besar Datuk Seri Dr Mohd Khir Toyo denied Liu’s allegations. Dr Khir told Malay Mail that the data used by the current Pakatan Rakyat (PKR) government was compiled by the previous government under his leadership. He said the previous administration had complete data on the number of places of worship in the State, where it also had a committee in charge of non-Muslim worship places consisting of non-Muslim exco members, who were Hindus, Buddhists and Christians. ”I see the exco is unaware and ignorant about this and does not know the management cycle. I would like to make it clear that the structure the PKR government is using is the same as that of the previous government,” he said. Sikap kerajaan Pakatan rakyat yang hanya tahu mengulang menyalahkan kerajaan yang lepas hanya menunjukkan mereka tiada tahu mentadbir dan hanya penuh retorik ceramah yang cetek dan murah. Sementara itu, ada peristiwa kurang manis berlaku semalam. Harap semua pihak bertenang agar tidak memanaskan keadaan yang sudah panas akibat usaha ahli politik Pakatan Rakyat untuk mempolitikan masaalah penduduk. Kerajaan Selangor hasut Kuil 'Samseng' Seksyen 19 mungkir janji? Sepatutnya Khamis semalam pukul 2:30 ada satu sidang akhbar perdamaian antara wakil penduduk Seksyen 23 dan Hindu Sangam (serta kuil Seksyen 19). Perdamaian ini adalah persetujuan dan persefahaman yang dicapai dari hasil usaha Dato Hishamuddin, Menteri Dalam Negeri untuk menemukan kedua-dua kedua-dua pihak. Melihat usaha ini akan menonjolkan kegagalan kerajaan Pakatan Rakyat Selangor menyelesaikan masaalah tempatan yang mudah diselesaikan, mereka menimbulkan kontroversi untuk mengagalkan usaha perdamaian ini. Mereka menuduh Hishamuddin campur tangan dalam siasatan polis. Disamping itu, mereka menuduh beliau rasis sambil mengungkit peristiwa keris lama dan menuntut beliau meletakan jawatan kerana simpati dengan penduduk Seksyen 23. Padahal pihak Hindu Sangam (berserta wakil Kuil Seksyen 19) telah mendengar dan setuju dengan rungutan penduduk. Usaha untuk mengalih pandang ini adalah petunjuk jelas kerajaan Pakatan Rakyat Selangor tidak ikhlas untuk menyelesaikan masaalah ini. Mereka hanya mahu terus mengekalkan kehangatan untuk dipolitikkan dan menutup malu mereka. Dipercayai pihak kerajaan negeri akan "menghasut" Hindu Sangam untuk menggagalkan perdamaian. Sudah ada petunjuk bahawa pihak kuil sudah berbalik-balik cakap seolah-olah akan memungkiri janji. Tidak menghairankan untuk berlaku kerana kuil Seksyen 19 pernah lakukan sedemikian. Sidang akhbar yang telah diumumkan telah dibatalkan. Bagi menggantikan, satu Majlis Perdamaian telah dirancang untuk pagi 10:30 pagi. Itu pun telah dibatalkan kerana pihak kerajaan negeri mahu bertemu pihak Hindu Sangam pagi ini. Apa salahnya pertemuan itu dilakukan pada masa lain hari ini? Adakah mereka mahu melihat pengumuman perdamaian itu tidak berlaku? Ini hanya menunjukkan exco kerajaan negeri cemburu bila Hishamuddin berjaya mencapai kata sepakat antara pihak-pihak yang berbalah. Tidak hairan kerajaan Pakatan Rakyat Selangor akan membuat sesuatu janji atau tawaran yang akan membuat pihak kuil dan Hindu Sangam menggagalkan usaha perdamiaan antara penduduk. Dari maklumat yang diterima, ada ura-ura pihak Hindu Sangam mahu mengenakan syarat baru dari persetujuan yang telah dibuat di hadapan Hishamuddin. Di hadapan Hishamuddin, mereka pura-pura mendengar dan bersetuju dengan rungutan penduduk Seksyen 23. Katanya, mereka juga sedia meneriama tawaran pihak kerajaan Persekutuan untuk menyediakan tapak tanah untuk membina kuil baru. Sambil itu, reaksi Pakatan rakyat terhadap usaha Hishamuddin menunjukkan sikap kebudak-budakan. Mereka menuduh Hishamuddin campur tangan dalam urusan penyiasatan polis terhadap lebih 50 laporan terhadap penduduk Seksyen 23. Malah mereka mengungkit peristiwa angkat keris yang dibuat oleh Hishamuddin di Perhimpunan Agung Pemuda beberapa tahun lepas. Bagai boleh diagak Pakatan Rakyat akan memutarbelit jika siasatan polis tidak mengarah kepada pendakwaan terhadap penduduk Seksyen 23. Kemungkinan besar perkara ini tiada pendakwaan kerana ianya lebih perselisihan faham. Adakah ini diplomasi Pakatan rakyat menyelesaikan masalaah penduduk dengan mahukan pengundi mereka dihukum polis? Pihak kuil sudah berkali-kali memungkiri janji. Menurut surat yang dihantar oleh penduduk Seksyen 19 (boleh diperolehi di laman Selangordailydotcom sini), pihak kuil bersetuju pindah tetapi masih mahu mengekalkan operasi hingga akhir tahun 2010. Malah mereka telah mengecat kuil dan patung tersebut seolah tidak akan berpindah dan akan memungkiri janji yang telah dibuat. Kuil itu menceroboh tanah PKNS selama dua dekad dan bukan berumur 150 tahun seperti yang ditulis oleh The Malaysia Insider. Kuil itu dahulunya digunakan oleh penduduk setinggan yang sudah lama dipindahkan. Pada tahun 1988 semasa penduduk berpindah kekawasan perumahan ini, kuil itu hanya sebesar tandas tanpa bekalan air dan elektrik. Mereka yang menceroboh tanpa rasa malu mengaku tanah itu tapak mereka walaupun kawasan itu sudah menjadi milik PKNS. Pihak kuil sentiasa mendapat sokongan pemimpin MIC yang sering campur tangan apabila penguatkuasa mengambil tindakan keatas kuil itu. Hanya selepas kes kuil di Rimba Jaya dirobohkan dan kerajaan negeri bertukar tangan barulah mereka menyokong Pakatan Rakyat. Menurut surat tersebut, walaupun Khalid Samad berkata mereka sanggup bertolak ansur untuk pindah, penduduk Islam percaya tanpa desakan penduduk mereka akan terus kekal disitu. Mereka tidak pernah ambil peduli gangguan yang mereka buat telah menyebabkan penduduk terpaksa membuat aduan hingga kepada DYMM Sultan Selangor pada tahun 2006. Tanpa campur tangan NGO Islam pada awal tahun 2009 mereka pasti berjaya membesarkan lagi kuil itu. Khalid Samad asyik menyalahkan UMNO dan NGO Islam sedangkan kedegilan pihak kuil yang enggan keluar dari kuil haram itu tidak diambil kira langsung. Mereka sudah beberapa kali dapat arahan pindah semasa dibawah BN dahulu tetapi mereka enggan keluar walaupun mereka tahu disitu tapak rumah teres dus tingkat sebanyak 16 unit. Menurut surat tersebut, pihak kuil pernah menolak ditawarkan berpindah ke Seksyen 23 beberapa tahun yang lalu. Apabila kawasan itu sudah dibangunkan menjadi kawasan perumahan majoriti penduduk Islam mereka mahu pula kawasan itu. Pada mulanya mereka memberi alasan bahawa kawasan itu tempat najis kerana berdekatan Loji Indah Water. Kuil yang sepatutnya pindah ke Seksyen 22 pada tahun 2008 bertukar tempat ke Seksyen 23. Lokasi yang dipilih berhampiran kawasan perumahan penduduk Islam, surau dan taman permainan kanak-kanak. Dalam mempertahankan kuil ini, Khalid Samad berdalih-dalih dan memberi alasan kuil itu berjauhan dari kawasan penduduk Islam dan dipinggiran kawasan. Ini tidak benar. Penduduk Seksyen sering berhadapan dengan gangguan bising dan gangguan bising terpaksa dihadapi setiap hari seperti apa yang telah berlaku mulai April hingga December 2008. Namun demikian, Khalid Samad lebih bersikap berat sebelah kepada mereka tanpa menyiasat. Semasa NGO campur tangan membantu penduduk Islam, beliau pula menyebelahi Hindu kuil. Samseng India kelihatan keluar semasa persediaan pelancaran tapak latihan silat. Lihat samseng berbaju biru yang memakai 'brass knuckle'. Selain itu, tinjuan kami dengan penduduk mendapati kuil ini adalah sarang samseng India. Sering berlaku di mana permainan gendang apabila ada Majlis Tahlil di rumah penduduk Islam. Apabila ditegur samseng ini menuntut di bayar untuk memberhentikan permainan gendang yang sengaja dibuat dengan bising. Penduduk yang membuat rungutan kepada pihak berkuasa dan polis juga diugut hingga ada yang diugut bunuh. Rumah mereka dicanting dengan nombor 303 sebagai tanda rumah yang menentang samseng ini. Sejak kehadhiran samseng ini, kejadian samun dan rompakan terhadap rumah-rumah pun bertambah. Kronoloji aduan dan masaalah kuil Sekseyn 19 ini boleh diperolehi di laman Perwaris sini. Jika ada pihak merasakan kuil ini mendapat sokongan penganut Hindu setempat, ianya tidak benar sepenuhnya. Dari tinjuan kami, ada antara penganut Hindu di Seksyen 19 tidak bersembahyang dikuil itu tetapi pergi ke kuil sejauh Klang. Sebabnya adalah elemen-elemen samseng yang menguasai kuil ini. Dalam mereka menuduh dan menuntut hukuman terhadap penduduk Seksyen 23, rupanya ada usaha untuk mengadakan dialog antara Khalid Samad, Rodziah Ismail, Datuk Mazlan Md Nor (Datuk Bandar Shah Alam) serta wakil PKNS. Kalau ini dilakukan sebelum perjanjian Mei 2009 dengan pihak kuil, perkara ini tidaklah menjadi begitu buruk keadaan. Lebih lagi mereka berdua ditangkap berbohong pada penduduk. Jika kerajaan persekutuan sedia menyelesaikan masaalah untuk memberi tanah, apa pula kerajaan Selangor sanggup tawarkan? Adakah tawaran ini masih membiarkan kuil Seksyen 19 beroperasi dan kuil Seksyen 23 dibina juga? Adakah konsesi yang akan diberikan pada kuil itu akan disenangi penduduk Sekseyn 19 dan Seksyen 23? Rasanya tidak dan perkara ini akan berpanjangan lagi. Khalid pandai menyalahkan masaalah ini adalah masaalah kerjaan BN tetapi kenapa mereka tidak teruskan pembinaan di Seksyen 22 yang sudah diatur. Semuanya ini kerana kerajaan Pakatan Rakyat terlalu sangat mahu mengambilhati kuil ini hingga tidak mengkaji latarbelakang masaalah ini dnegan terperinci. Apa saja asal dapat pengaruh dan kuasa? Bolehkah ahli politik ini membawa kemajuan dan memberi kepimpinan yang diperlukan negara? No more is the large crowd seen when they did the ridiculous State Assembly meeting under a tree. The illegal attempt by Sivakumar to call the reconvene of the State Assembly did not create much the event they wanted. They was a 200 people crowd in which half are the press people. There were also some 30-40 BN members from UMNO and MIC watching the circus. The Pakatan ADUNs gathered at the Perak DAP office and walked sheepishly towards the State Secretariat building through the tree where the last illegal Assembly under tree was held. Their path were few stopped by FRUs and the police. Nizar was in the midst of his theatrics before stunted by the yell of Daulat Tuanku from a group of BN supporters from UMNO and MIC. It was the Sultan's refusal to allow Pakatan to dissolve the State Assembly following the jump of three Pakatan ADUNs to be Indepenedent and give support for BN that attributed to Pakatan's loss of control in the state. They attempted to challenge the decision of Sultan in court but have proved unsuccessfall. Left without any choice, Pakatan is dead set to create political instability and sustain a sentiment of dissatisfaction amongst the people in the silver state. As it is they have been picking on issue and creating public spectacle such as today. Legally, they are left with the option to nit pick issues and the only option left is to question the removal of Sivakumar in the last legalised assembly meeting. The prospect to do so is minimal given the fact that the Perak State Constitution clearly state that the prerogative to determine the Speaker of the Assembly is left to the Government of the day. Pakatan should just get on with life and accept the fact that the BN Government is the legitimate Government. The BN Government is not likely to give up power and furthermore, the Sultan will not allow a state election. BN did not seek power but was given to them by virtue of three Pakatan ADUN leaving the pact to be Independent and support BN. The frustation on the low impact event today can be seen by the attitude of the organiser against the media. A photographer was warned to be careful. A blogger was denied acess to the Pakatan press conference at the Heritage Hotel. Was there anything dangerous and seditous told in the PC to disallow the media? So much for freedom of the press and speech.